Writing a unique character is difficult. The problem/setting/time combination may be unique, but overall, the character sometimes lacks a genuine/unique feel. His or her responses and actions may seem right...but then again...maybe just a little off at times. Maybe more canned like a hundred other characters. 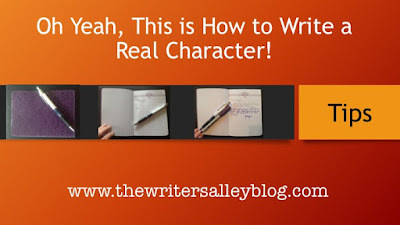 As authors/writers, we can talk ourselves into believing our characters are well portrayed then become bothered when a crit person, an agent, beta reader, editor says...um...no. 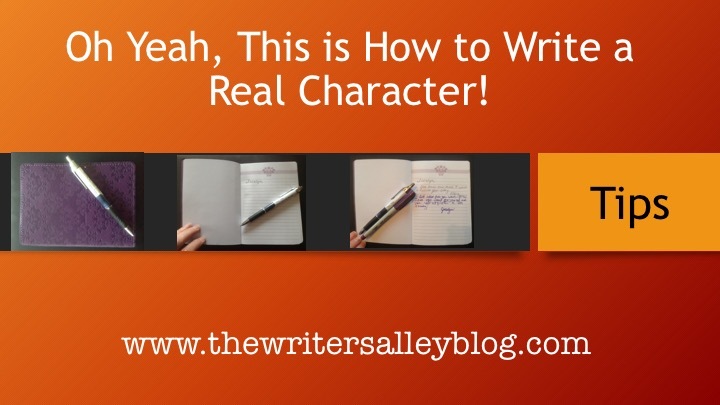 I've searched for the answer to writing a real character in so many places. Attended many classes. Basically two methods in varying forms had been presented to help writers find the unique components and traits of their character. 1. The list method. Writers can complete a list of questions to help them understand their main character (MC). The lists provided in writing classes vary from ten to one hundred questions. Writers can determine eye color, hair color, favorite color, birthday, preferred clothes, sport, restaurant, movie, book, etc. 2. The interview method. Writers can write a list of questions then meet with their character. Some writers go to a coffee shop to give a sense of realness to the idea. They may go shopping and look at clothing, food, etc, and all the while ask their character questions. The answers are recorded and kept for when needed in the story. This method is better for me...but not epic. I feel like I am putting the main character in a box. Basically, they are only allowed to answer the questions I had written. At first I felt like I was giving them choices, but then I realized my next question fired before the character even had a chance to change subjects. 3. The journal method. WAIT! Don't blow this off. Hear me out!!! A. Buy the perfect journal that describes your MC. I have a female teen who likes purple. B. Write a short note to your MC and let them respond. I chose to color code the conversation. Black ink for me, purple ink for my MC. I chatted a bit with her then asked a question to get the ball rolling. Just like we do when meeting new people. The more we share. The more we know. The deeper the friendship. C. My MC responded in a deeper way than I expected. I think she saw that this was not an interview, instead, this was an informal time to share whatever happened to cross our minds. I wrote a few words, left the journal out for her. She wrote what she wanted, sometimes asking me a question back, then left the journal sitting on my desk. I found that the answers were much deeper than when using the list or interview method. This is open ended. The MC has as long as she wants to respond and may write as much as she wants. After a while the MC asked a question back that required at least a paragraph answer on my part. This, to me was the real breakthrough. True conversation. Two sided. Deepening relationship and understanding. 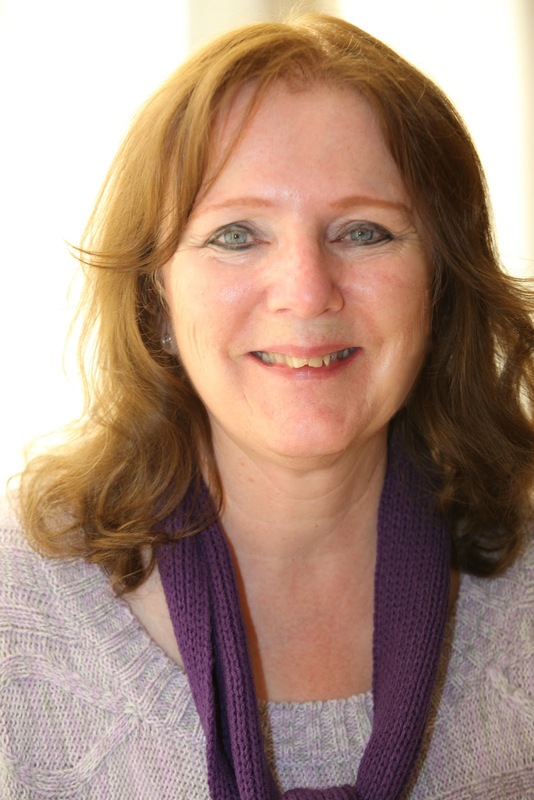 D. Author Nancy Rue recommended doing this journal method early on in a story. If possible, before writing. This helped her plan out the story. Find the direction. See issues and problems which led to more discussions with her MC in the journal. The conversation deepened every aspect of the story. She used portions from the journal--directly quoting them in her manuscript. Then marked which chapter she used the quote on the corresponding page in the MC's journal. My manuscript is finished, but I felt my MC needed to be developed more. **Maybe I didn't know her as well as I thought. **Maybe she was nothing more than a cookie cutter character. **Maybe her unique personality needed to come across more to help readers truly identify with her. I spent days chatting with my MC in the journal. Oh my...I cannot believe what I discovered. The more we talked, the more she trusted me and spilled her heart. The more she wanted to know me and ask questions. I went back to my MS, starting with chapter one, to deepen every aspect of her. The difference has transformed cookie cutter to genuine. Nancy Rue showed us the different journals for each book she'd written. The cover of each journal really did match the character. Colorful. Plain. Dark. Bright. She'd kept them all this time! What was amusing was the expression on her face as she picked up each journal. A unique expression flashed on her face, for some she even laughed before showing us the journal. This tool works for any character. Are you having trouble stepping into the shoes of your villain? Your hero? Is he manning up? Is she really and truly unique? The journal doesn't have to be just for the MC. Write one for the character you would like to know better. This is a great idea--and one I was already doing without calling it that :) But I can definitely go deeper and learn better. Thanks! Really, Lindsey? Wow. Yah know how it is when others have something figured out and you just see it and you're all excited...and they are excited for you...yeah...that is me today. Love this idea! I had the opportunity to sit in a few classes taught by Nancy Rue also. Her writing exercises always stretched my imagination and strengthened my WIP. I'm bookmarking this post. Thanks for sharing! So yeah, you know what I mean by the creative power in Nancy Rue's classes. Her innovative style just blew me away. And yes...remember the strange creature she had us write about? Yeah...at first I thought...um, no...but then I dove in and wrote something that amazed even me. She just has a way of empowering writers to do what God has led us to do. oh! and a journal actually plays a part in my current WIP! I had the same exact response. This just seems to be like the most practical method ever for me. I was frustrated that I could buy a journal at the conference...I hunted in each airport I had a stop over on my way back...no journals...REALLY?? I was so anxious to get started. I arrived home after midnight and had to wait until the next day. It was like having to wait to open a Christmas present. And ever since...well, you can see...I am sold...and a proponent. AND I am so jazzed that I got the video to land on the page. 30 some odd takes!! It's hard to do by yourself. Yeah, a one second video...but it seem to help seal in the point. I really got it when Nancy showed us her completed journals. Just had to pass on the visual. I'm really excited to start this process with my new story--in fact, I'm going out to buy Kaya's journal today. :D And I can't wait to see how Jocelyn's journal adds another layer to her story. Thanks again for being the best roomie at the conference! You're so funny. I could just see you each night with a stack of journals on your nightstand. You'd turn to your hubby and say...one of my characters is saying something....got to leave the light on for five more minutes. Of course, the character who has something to say is the from the journal on the bottom of the pile. LOL, I'm seeing this scene play out.